BSCS Biology: A Molecular Approach (Blue Version) challenges gifted and honor students to think scientifically, to integrate concepts, to analyze data, and to explore complex issues. This research-based program, developed with funding from the National Science Foundation, supports an inquiry approach to biology. 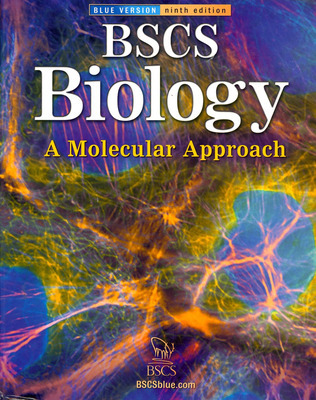 BSCS Biology: A Molecular Approach provides students with the background information needed to ask their own research questions and to conduct their own investigations. Over 60 in-text labs create positive opportunities for students to engage in inquiry learning. Reflect the latest information in molecular biology with updated content and labs. Measure several levels of student abilities with a sequence of assessment options as students apply their knowledge to major concepts. Challenge your Pre-AP students with strategies in the Annotated Teacher Edition to delve deeper and think critically about the lesson.